Think you need a college degree to get ahead much less become President of a multi-billion business? Think again. Facebook’s Mark Zuckerberg and Microsoft’s Bill Gates never graduated college. Look where they are today? That’s not to say having a college degree and, better yet, a Master’s Degree, won’t matter. They do, especially in the corporate world and in academia. But, you can succeed in other ways. 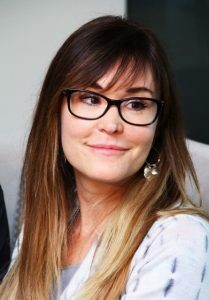 That’s the story of Stormy Simon, a single mom who started as a temporary worked at Overstock.com and worked her way to the top to become President. During her tenure, Overstock became a top 25 e-tailer growing to nearly $2 billion in revenue. Stormy Simon could have just rested on her laurelsbut she decided to reach for greener pastures and left the company she helped to build. Where did she land? How about the budding business of legalized cannabis? Stormy Simon has an eye for the big “O” as in opportunity. Learn what she’s doing now after leaving her post as CEO at Overstock.com. So why did she step away to join the budding business of legalized marijuana? Perhaps it’s because Stormy has an eye for the big “O.” After building Overstock in an e-tail giant she saw Opportunity elsewhere and took the leap. 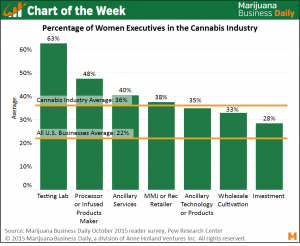 Women in weed is evidently a big business opportunity. Here is what this article in the cannabis industry trade magazine has to say: “According to a study that was conducted by Marijuana Business Daily, women hold 36 percent of executive positions in the cannabis industry and staggering 63 percent of executive positions in testing labs around the country.” Curious about careers in cannabis (legal, of course? ).